Peer support provides a pathway for burn survivors to begin their recovery. Healing is not only physical, but also emotionally and psychologically. Our programs are designed to support and challenge burn survivors. Understanding that their injury does not define who they are and what they can accomplish is our primary goal. 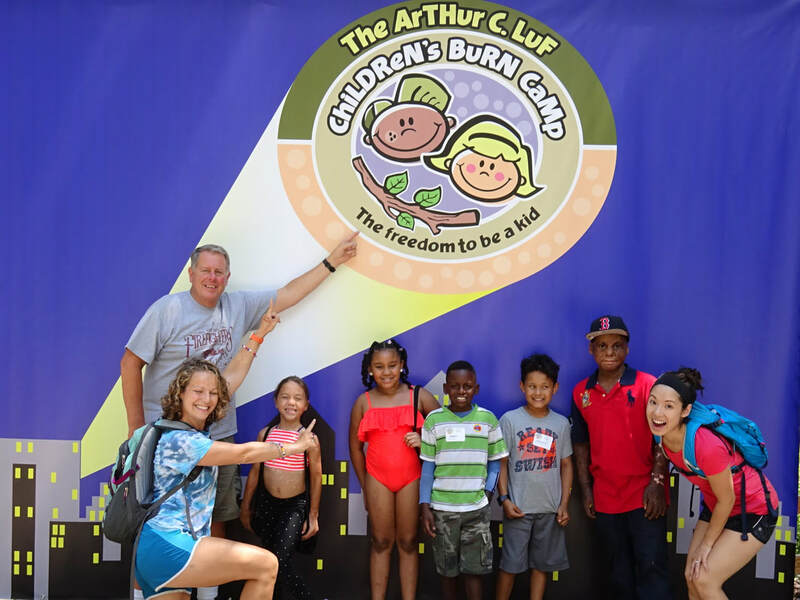 This retreat is a collaboration between the CT Firefighters Charitable Foundation and the Connecticut Burn Center’s Phoenix SOAR program to provide adult burn survivors a unique camping experience that focuses on the mind, body and spirit. If you would like to make a donation to support this program via PayPal, please click on the PayPal link to the right. The Phoenix World Burn Congress is the world's largest gathering of the burn community, connecting attendees with support, resources, and each other. For many, it is the first chance to connect with others on the journey of recovery from a burn injury. Please include a letter dedicating your donation to this program. A program designed by the Phoenix Society for Burn Survivors. S.O.A.R. stands for: "Survivors offering assistance in recovery". Phoenix SOAR connects burn survivors and loved ones to a compassionate community of people who share the experience of a burn injury. It is a hospital-based, one-on-one peer support program that connects people with new burn injuries to survivors and family members who have been impacted by a burn injury. Phoenix SOAR was designed by the Phoenix Society in conjunction with a national committee of experts. Connecticut Burn Center, Bridgeport Hospital, Bridgeport, CT. If you are a burn survivor and family member and would like to attend, please contact Eric Labonte: Eric.LaBonte@bpthosp.org.